Happy spring, Retrowatchers! Has this been the worst, most dragged out winter or what? It’s still not quite over – there are reports of more snow in the DC area next week. Ugh, ugh, ugh. I don’t think I have ever craved warm weather so strongly before, and I’m a beach bum who loves summer! It’s still winter in Minneapolis as well, as this batch of episodes finishes out the year and brings us into 1973. What will the new year have in store for Mary and the gang? Let’s find out. Regular readers will know that I tend to be a hard critic of MTM. I adore the show, but have not been shy about calling out episodes that fall short. Well, I am pleased to say that for the first time in a long time, there is not a weak link in the batch. 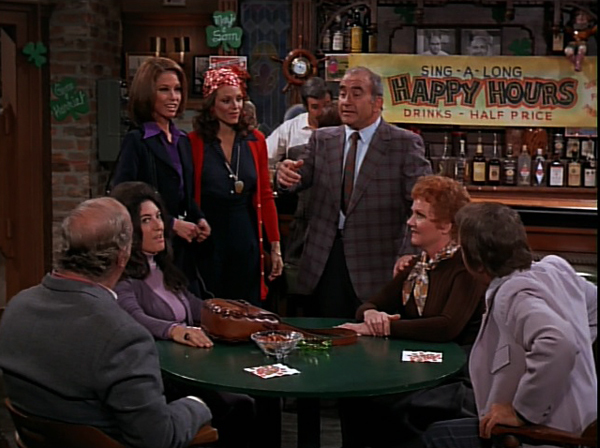 All four episodes hit that MTM sweet spot of funny, touching, and true to life. And while the performances are all top notch (including the debut performance from a very special guest), this round really goes to the writers. From taking relationships to the next level to turning a pathetic situation hilarious, the writers brought their “A” game with these episodes. *If it is any consolation, I remember all three of their Full House episodes. So, um, at least they made a lasting impression? One of the most rewarding things about storytelling is seeing relationships evolve. No matter the medium, it’s always exciting when characters find new and unexpected ways to relate to each other. 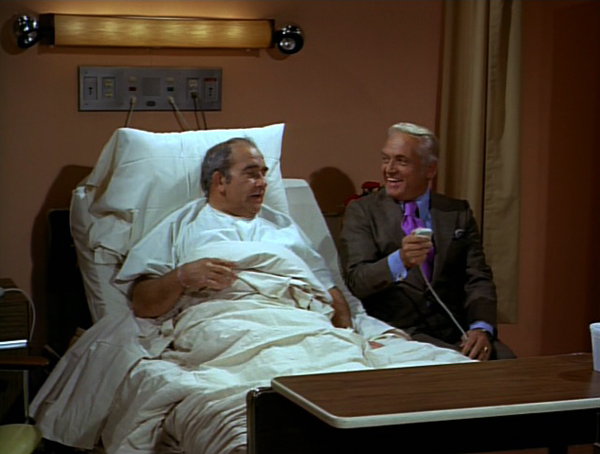 Such is the case with “Operation: Lou”, which unites the last two people one would expect: Lou Grant and Ted Baxter. The result is glorious and I hope is one of many episodes featuring Ted and Lou as friends. The moment he walked into Lou’s hospital room, I thought to myself, #TeamTed! Is Ted annoying? Yes. Can he be fickle? Sure. But he has a big heart, and deep down really does care about these people. What better way to prove it than sneaking in a $24 bottle of scotch? Ted: When your best friend is in pain you can’t do too much. Lou: I’m your best friend? Ted: Yeah, I thought you knew that Lou. Lou: Ted I holler at you a lot. Ted: There’s Ted Baxter the newsman and Ted Baxter the buddy. You don’t yell at me, you yell at him. In an interesting juxtaposition, as one friendship blooms, another is in jeopardy. Mary is in charge while Lou is in the hospital. Murray does not adapt well, especially when she starts correcting his copy: : “I have been writing copy for 17 years. You have only been checking it for four days.” While a shift in power dynamics often creates tension, we need to remember two things: 1.) Murray was a horrible boss earlier this season and hated it. 2.) Mary shouldn’t be correcting anyone’s copy because she is supposedly a terrible news writer. Lou and Ted’s friendship also shifts the dynamics of the newsroom. As much as Lou would love to stop blaming Ted for everything that goes wrong, he can’t because, well, Ted IS to blame for everything that goes wrong. Sadly their bromance must come to end end. My fingers are crossed it resurfaces at some point. If “Operation: Lou” had been Davis and Pollock’s only episode of MTM, that would have been enough. Instead, they follow it up with episode 15, “The Courtship of Mary’s Father’s Daughter,” which is just as good (if less funny). 1.) It brings back professor Dan Whitfield from “Room 223,” aka the best guy Mary has dated. I was bummed when he only stuck around for the one episode last season and am glad the writers brought him back to tie up loose ends. 2.) Bill Quinn returns as Mary’s father, but only for two brief scenes. I love that Walter is part of the ensemble now. His relationship with Mary is established enough that he doesn’t need to be the focus of every episode he is in; he can just quickly drop in, make a few jokes, and leave. It’s nice when recurring characters can ease their way into a show as he did. And to think, originally I was not a fan! 3.) Rhoda gets to have some fun! We hardly ever see Rhoda dating – the only other episode I can remember is season one’s “Smokey the Bear Wants You.” Here, she hits it off with Dan’s friend Jonas, and the two spend the episode running around like teenagers and making each other laugh. Or, as Rhoda succinctly puts it: “You do, but you don’t, but you might, right?” I love that Mary is happy with her life and does not feel the need to get married just because she is over 30 and met a great guy. And yes, I realize that this is the entire premise of the show, but it is nice to get a reminder every once in awhile. We really hadn’t since the pilot. That the writers were smart enough to know that Dan is the only man we’ve met who could possibly tempt Mary into marriage? Beautiful. In his blog post on Treva Silverman, Ken Levine says that Allan Burns called her “the voice of Rhoda.” Silverman has only written two episodes so far this season. Her first, “Rhoda the Beautiful,” is a classic. With “Rhoda Morgenstern: Minneapolis to New York,” Silverman captures the importance of Rhoda and Mary’s friendship and also introduces us to Georgette Franklin*, played by the hilarious Georgia Engel. Silverman sure knows how to make it count, huh? How does one hold so much talent? *Levine’s post also confirmed my suspicion that Georgette was meant to be a one-off guest spot but was such a hit with the audience they continued to bring her back. See also: Crane, Frasier. While this absolutely had to do with Engel’s talent, it is also a testament to how formed Georgette was on the page. Once again, I salute you, Ms. Silverman. Readers, I am not going to lie: When Rhoda announced she had accepted a job in New York, I panicked that I was mistaken and Valerie Harper really left the show in season three. I spent a good five minutes mentally preparing to say goodbye to her before verifying her actual departure date. And while I am glad I don’t have to say goodbye yet, I wonder how the show will rewrite history to make Rhoda want to return to her hometown. As she put it in her goodbye dinner with Mary: She doesn’t know anyone there anymore except for her parents, loves her apartment in Minneapolis, and would have to start all over in a smaller place* in Manhattan. Those are solid reasons, Retrowatchers. I am now curious as to what will change her mind. *I am not sure apartments could get much smaller than Rhoda’s current residence. 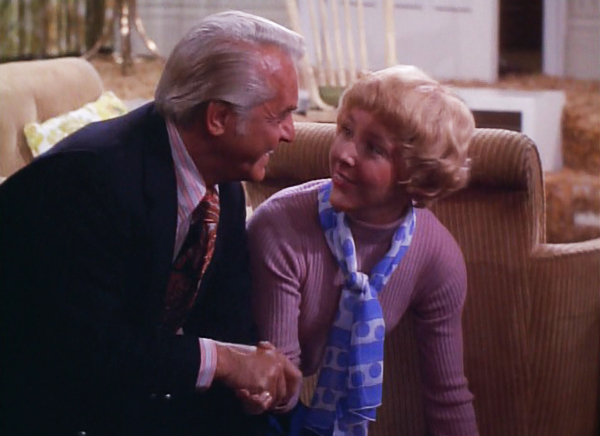 My brief panic attack was worth it for the Rhoda/Mary bonding throughout the episode – and Mary’s stubborn insistence that Rhoda won’t actually leave – and to meet Rhoda’s coworker, the flighty Georgette, and watch her interact with Lou and Ted. (Baffling the former and charming the latter.) Not to harp on this too much, but Georgette completely stole the episode. I could have watched 30 more minutes of Georgette instructing people on the rules of a surprise party (“I’m no expert, but shouldn’t the lights be off?”), explaining to Lou how her job will change once Rhoda leaves (“There are six windows, so now instead of decorating three, I’ll have to do six.”), and being star struck by Ted. Ted: You may possibly recognize me, I’m Ted Baxter. Anchorman, WJM six o’clock news. Georgette: Oh, terrific, are you covering this? I look forward to her return. “Lou’s Place” is similar in tone to “But Seriously Folks,” but steps back before reaching the latter’s level of sadness. Thank goodness! As the title suggests, Lou buys an Irish pub when the owner passes away. He is convinced it is a goldmine, but quickly realizes the key to McClusky’s success was McClusky: He was a people person. Lou Grant is many things, but a people person is not one of them. Once you see it, it’s obvious that was the only way the story could end, but wow, what a pay off. I had not laughed so hard at MTM since Mary dried her eyes with a hand towel dispenser – also written by Weinberger. Another bonus to the episode: The Ted/Lou bromance is briefly reignited when Ted becomes an investor in McClusky’s. Sadly, it does not last, as Ted quickly realizes he made a bad investment and begs Lou for his money back. – Lou’s operation is from an injury he sustained in WWII. I know he has mentioned his time in the service before, but am not sure the math adds up. He is 46 in 1972; the war ended 27 years ago. He must have been drafted right at 18. Otherwise, this is a big continuity fail. 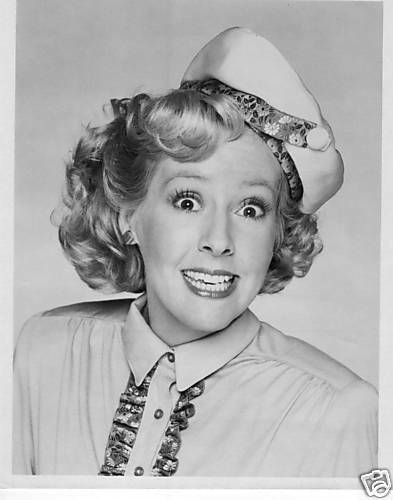 – Rhoda doesn’t appear at all in “Operation: Lou.” This is the first time she’s not in an episode, right? Usually newsroom-heavy stories feature her in at least one scene. – Ted is giving Rhoda some competition for best gift giver: He has a paperweight made with the piece of shrapnel Lou had removed, Lou’s hospital ID bracelet and the date of the operation. – Fun fact: Georgia Engel is a local – she grew up in the DC area and actually went to my mom’s high school for awhile. Also, she is only 65. I always thought of her as a contemporary of the rest of the cast. – “Lou spilled his blood on the battlefields of France so that we might all be free. 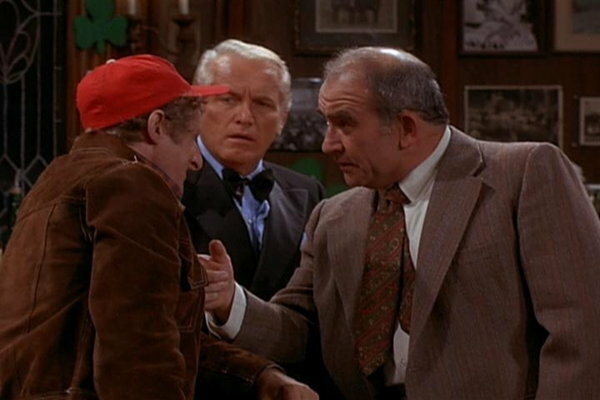 Lou Grant did his part for America. He gave everything he had, fighting the axis menace. Now it’s time for us to do our part. I personally as of this moment am boycotting sauerkraut.” – Ted’s tribute to Lou. Unfortunately it comes at the expense of a breaking news bulletin. – “Going to a restaurant with a paleontologist can get very embarrassing. Last restaurant we were in, he started reconstructing the bones of his duck.” – Rhoda knows how to pick men. – “Well. She knows you better than I do.” – Walter on Mary turning down Dan’s proposal. -“I think he was surprised to find out that I am not living my life in a constant search for the right man to marry. You know something? I was pretty surprised to find that out myself.” – Mary Richards setting the bar for the next generation of women. -“I never cared about being lovable until now. It was always enough that people were afraid of me.” – Lou Grant, charming as ever. That’s it for this time, folks! Were you as impressed with these as I was or did one leave you cold? What did you think of Georgette? Let me know in the comments. This entry was posted in Classic TV Clips, Classic TV watch, Mary Tyler Moore, tv and tagged classic TV watch, ed. weinberger, georgette franklin, georgia engel, Lou Grant, Mary and Rhoda, Mary Richards, Mary Tyler Moore, Mary Tyler Moore season 3, murray slaughter, rhoda morgenstern, ted baxter, treva silverman, tv writers, Valerie Harper by Sarah. Bookmark the permalink.